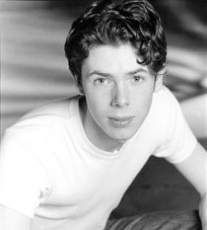 The final opening of Stratford's 2001 season is "Good Mother" by 26-year-old company member Damien Atkins. The play won the inaugural UBC Creative Writing Residency Prize for an unpublished script in 1999 and was workshopped at Stratford in 1999 and 2000. Inspired by a song by Jann Arden and an interview with a family on Oprah Winfrey, "Good Mother" has much more in common with a television movie of the week than with the best recent drama from Britain or Canada. Yet, Atkins clearly has talent and his play has inspired the cast to give performances of great power. The play covers two years beginning when 42-year-old Anne Driver, in the midst of preparing for her daughter Nancy's 18th birthday, has a debilitating stroke. Act 1 of the play focusses on Anne's gradual recovery--waking from her coma, her first word and walking on her own to her recovery of a little but not all of her memory. In tandem with this we see the frustration and guilt of her family as they now must care for the woman who used to care for them. After a flashback to the incidents immediately preceding the stroke, Act 2 shifts to resolving two romantic subplots--one between Nancy and her boyfriend Richard, the other between Anne's husband Ben and Anne's sister Louise. The play has a number of structural problems. It may be exciting to begin the action with Anne's stroke, but this means that for half of the play we are repeatedly told what a "strong" woman, "supermom" or "fighter" Anne is without our having any direct experience of it. We are given some glimpse of this in the important flashback of Act 2, but the focus shifts all too soon from what Anne used to be like to an argument between mother and daughter over Nancy's boyfriend. The play is also over-reliant on coincidence to move the plot forward. As least four times characters planning or engaged in a sexual encounter are surprised by precisely the character who shouldn't see them. This is an easy way of thickening the plot but it makes the romantic characters look incredibly unaware of their surroundings. A more experienced playwright would cut the melodrama of these discovery scenes and begin with the discussion of the fallout. Besides this, the cause of a number of arguments and situations is based on information we don't have. Nancy argues far too often that her parents are stricter than other parents but nothing we see seems to support this. Both parents seem to dislike Nancy's boyfriend, but it is just generic parental disapproval or grounded in something specific? What exactly is the past history of Ben and Louise if Ben can so easily slip into a relationship with her after Anne's stroke? Many of these problems could be solved if the flashback were more extensive or if the play began with Anne in good health. Only then could we judge more clearly which problems Anne's stroke has caused and which were pre-existing. Despite all this, there are a large number of effective scenes--Anne's rejection of Ben when he tries to sleep with her again, Ben's collapse into tears when viewing old slide with Anne, Nancy's two dreamt conversations with Anne, the final tableau and all the scenes between Anne and her lively home care nurse. Atkins has an ear for natural speech, though Nancy speaks in far more complex sentences than one would expect from an angry 18-year-old. The flashback of Act 2 establishes a very interesting theme that I wish Atkins had more fully explored. There we hear Nancy tell the healthy Anne that she isn't her mother any more just as she says later referring to her disability. Atkins has Anne's neurologist say outright that it is not Anne but the family's perceptions of her that are causing them grief. Atkins could expand on this theme if he could free himself more fully from a straightforward realistic narrative, as he does briefly in the flashback and two dream conversations. This would lift the work from its semblance to a banal teleplay to a work making more use of the possibilities of the theatre. Director Miles Potter has drawn committed, highly detailed performances from the entire cast. Chief among these is Seana McKenna's amazing performance as Anne as she struggles with right-brain damage. Not only is her portrayal painfully realistic as she shows Anne's difficult piecemeal recovery of some functions, but she shows us Anne's personality as it periodically shines through the prison that is her body. It is surely the most powerful female performance at Stratford this season. Wayne Best as Anne's husband Ben gives one of his best-ever performances, fully communicating the conflicting emotions of his character. Anne's sister Louise is the only character Atkins grants much subtext, but Jane Spidell beautifully brings out her unspoken conflict of what is right and what she desires. Michele Graff as Nancy has to cope with a character who repeatedly flies off into pretty much the same fit of anger. All delivered at a shout these fits become tiring. In her quieter moments, however, Graff is able to bring out a fuller sense of her character. Andrew Dodd, aged 11, plays Nancy's brother, Boo, with more assurance and naturalism than most of the adult actors in training at Stratford. The smaller roles are all well taken. Kim Horsman brings out the humour in Anne's overly brusque neurologist. Yvonne, Anne's wisecracking home care nurse seems parachuted in from a sitcom, but Lisa Horner makes her an appealing character. Shawn Mathieson well portrays Nancy's awkward, oversexed boyfriend. And the author himself plays the geeky medical researcher who first breaks the news of Anne's condition to her husband. Peter Hartwell's design is very simple making use of slides (by Michael Besworth and Daryl Cloran) projected on two angled screens to locate each scene. Wendy Greenwood's lighting is crucial in establishing the varying moods of the piece as is Peter McBoyle's detailed soundscape, particularly enjoyable in the movie theatre scene. The play itself may have its difficulties but many in the audience were obviously moved by it. The roles Atkins created clearly spoke to the actors to have drawn such emotionally engaged performances from them. Damien Atkins is at work on another play for the Festival. Let's hope that there he finds his own voice. Photo: Damien Atkins. ©2000 Theatre at UBC.